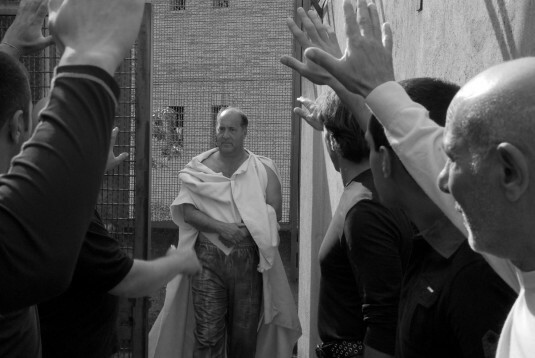 Paolo and Vittorio Taviani’s “Caesar Must Die,” screening twice at the 35th Mill Valley Film Festival, is a docudrama that follows the drama workshops held inside Rome’s Rebibbia Prison as inmates rehearse and perform a modern version of Shakespeare’s Julius Caesar. Italy’s official Academy Award entrant for Best Foreign Language Film. Heading into its 35th year, the acclaimed 35th Mill Valley Film Festival starts Thursday and brings a fabulous 11 day program of over 150 movies, tributes, award ceremonies, premieres, and parties to San Rafael and Mill Valley. While many of the films and special tributes are sold out, I’ll be pointing out several films over the next 2 days that still have availability and are unlikely to screen elsewhere, or, that have special programming combined with their screening that make them a must-see at Mill Valley. Caesar Must Die (Cesare Deve Morire) Italy, 2012, 76 min: Octogenarian film-making brothers, Paolo and Vittorio Taviani, have crafted a rich docudrama that revives the passion of ancient Rome and features real inmates— Camorristi and Mafiosi—at Rome’s maximum security Rebibbia Prison as they intensely rehearse and then perform a modern adaptation of Shakespeare’s “Julius Caesar.” Shot mostly in black and white amidst stark prison conditions, and capturing the varied dialects of Italy’s criminal class, the film’s riveting soliloquies and rousing speeches reflect the spontaneous and cathartic processing of the prisoners’ own intense baggage. Italy’s official Academy Award entrant for Best Foreign Language Film. You’ll likely be able to see the film elsewhere in the Bay Area later but what makes the MVFF screening so special is the unique programming that accompanies it. Following the Monday, October 8, 6:30 p.m. screening, Lesley Currier, managing director of Marin Shakespeare Company will facilitate a panel discussion about arts and correction with Suraya Keating, director, actor, and drama therapist and MSC’s teacher of Shakespeare at San Quentin for the 6 past years. The other two participants are J.C. Wells and Henry Montgomery, former Shakespeare at San Quentin actors. J.C. Wells was one of the original Shakespeare at San Quentin actors and was involved with the program during its first 5 years. He was released about 1.5 years ago, after serving for 29 years, and has continued his involvement in Shakespeare and theatre. Henry Montgomery was part of Shakespeare at San Quentin for about 5 years and last appeared in the June 15, 2012 production of “Hamlet,” where he performed a compelling rap song. He’s been out of jail for almost 2 months and is pursuing a career as artist. He’s also a musician and actor and he’s very interested motivational speaking. 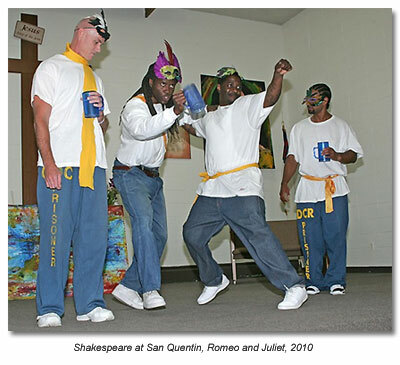 San Quentin inmates perform Shakespeare’s “Romeo and Juliet” in 2010 as part of Marin Shakespeare Company’s Shakespeare at San Quentin program. The Marin Shakespeare Company, which performs at Dominican University’s Forest Meadows Amphitheatre each summer, added the Shakespeare program at San Quentin to their array of education programs in 2004 and every year, the Company has offered weekly classes to inmates culminating in an annual performance. Rebels With A Cause, U.S., 2012, 74 min: We of blessed zip codes, Marin and Sonoma County, know how special the communities we live in are. This valiant documentary will connect all Bay Area residents with our legacy of progressive thinking and activism. Produced by Nancy Kelly and Kenji Yamamoto, who have collaborated on critically-acclaimed documentary and narrative films for the past 25 years, Rebels With A Cause documents the extraordinary efforts of several local citizens who saved the lands of the Point Reyes National Seashore and Golden Gate National Recreation Area from development. The film has its long-awaited world premiere at MVFF and the coastal cinematography is stunning, making it an essential to see on the big screen. And with filmmakers and participants in attendance, and an enthusiastic local crowd, this should be a real celebration. 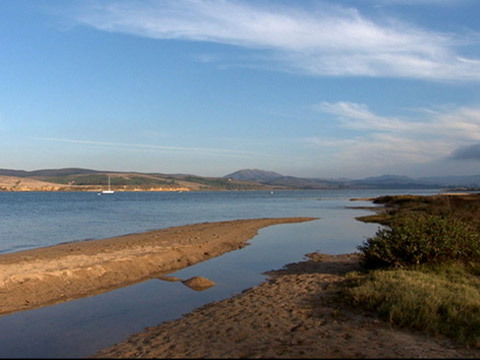 In the 1950’s, when California was the nation’s fastest-growing state, the prevailing vision for the coast was one of development—an extension of suburban housing developments with an eight-lane freeway connecting the Richmond Bridge and Point Reyes and marinas and hotels covering Bolinas Lagoon, Limantaur Estero and Tomales Bay. At the time, most people assumed agriculture in the region was dead and the county’s dairymen and ranchers would become rich selling their land to real estate developers and move their operations elsewhere. A handful of activists came together to awaken their neighbors, local farmers, and officials to the threat of over-development and the need to preserve open space. Passionately, tirelessly, they raised support for conservation over time, successfully battling the most powerful opponents of their day in big industry and government. Their efforts resulted in an 80 mile-long park that supports open space, recreation, agriculture and wildlife and shaped the environmental movement as we know it today, ultimately leading to a system of 14 National Seashores as part of the National Park Service. “Rebels With A Cause” has it world premiere at the 35th Mill Valley Film Festival. Produced by Nancy Kelly and Kenji Yamamoto, the film traces the efforts of extraordinary local citizens who saved the lands of the Point Reyes National Seashore and Golden Gate National Recreation Area from development. ARThound will be covering the festival in depth, so stay-tuned. If you are interested in attending the festival, don’t dally with purchasing tickets. Online: To purchase tickets for MVFF screenings, browse the film listings—the full schedule is online here. When you find a film you would like to see, click “buy tickets” to put the tickets in your cart. You can continue browsing, or click “check out” to complete your order. Tickets purchased online incur a $1.50 processing fee per order. Tickets you have purchased online are available for pick-up at the Mill Valley Film Festival Box Office(s). Seating is guaranteed until 15 minutes prior to screening. No late seating. NOTE: If you have trouble purchasing online and cannot purchase tickets in person, leave a message on box office voicemail: 877.874.6833. All orders placed over the phone are subject to a charge of $10.00 per transaction. Tickets delivered via mail (USPS) incur a $3.50 convenience fee. RUSH Tickets: If seats are available, tickets will be sold at the door beginning at 15 minutes prior to screening. Those tickets are cash only. No discounts. The 35th Mill Valley Film Festival, one of the country’s top 10 film festivals, is October 4-14, 2012. Tickets you have purchased online will be available for pick-up at the Mill Valley Film Festival Box Office(s). Seating is guaranteed until 15 minutes prior to screening. No late seating. Long time in the oven….Walter Salles’ highly anticipated On the Road reunites the same team from Salles’ Motorcycle Diaries (2004)—producers Rebecca Yeldham and Daniel Burman, screenwriter José Rivera, cinematographer Eric Gailtier, and production designer Carlos Conti. Based on Jack Kerouac’s 1957 novel, On the Road, considered to the defining book of the beat generation, the movie stars Sam Riley as Sal Paradise (Kerouac’s alter ego), Garrett Hedlund as Dean Moriarty , Kirsten Stewart as Dean’s lover Marylou, Tom Sturridge as Carlo Marx (Allen Ginsberg inspired) and Kirsten Dunst as Camille, Dean’s wife. Dustin Hoffman makes his directorial debut in Quartet, about three aging opera singers (Tom Courtenay, Billy Connolly and Pauline Collins) who are preparing for an upcoming concert in their retirement home when famous diva Jean (Maggie Smith) arrives unexpectedly. Hoffman will attend a special tribute and reception in his honor on Tuesday, October 9 at 7 p.m. at the Rafael Film Center when Quartet screens at the 35th Mill Valley Film Festival. Argo, directed by Ben Affleck and starring Bryan Cranston, John Goodman, Alan Arkin and Ben Affleck is set during the 1979 Iranian revolution and is about a last-ditch CIA plan to free six American hostages concocted. Affleck will attend the October 5, 2012 screening at 7 p.m. the Smith Rafael Film Center.